. يعمل Comfort Inn Kauri Court على ضمان إقامة مريحة لضيوفه من خلال خدماته الممتازة وحسن ضيافته. يمكن لضيوف الفندق الاستمتاع بالميزات التالية على أرض الفندق: واي فاي مجاني في جميع الغرف, مرافق مخصصة لذوي الاحتياجات الخاصة, تسجيل وصول/خروج سريع, تخزين الأمتعة, واي فاي في المناطق العامة. في الفندق غرف نوم يتجاوز عددها 16، كلها مجهزة بعناية وجمال وبعضها مزود بـ تلفزيون بشاشة مسطحة, سجاد, كاشف دخان, اتصال لاسلكي بالإنترنت, اتصال لاسلكي بشبكة الإنترنت (مجاني). سواء كنت من محبي الرياضة أو كنت تتطلع لتفريغ عناء نهار صعب، ستجد خدمات ذات مستوى عالي بانتظارك كمثل مسار جولف - ضمن 3 كم, حديقة. 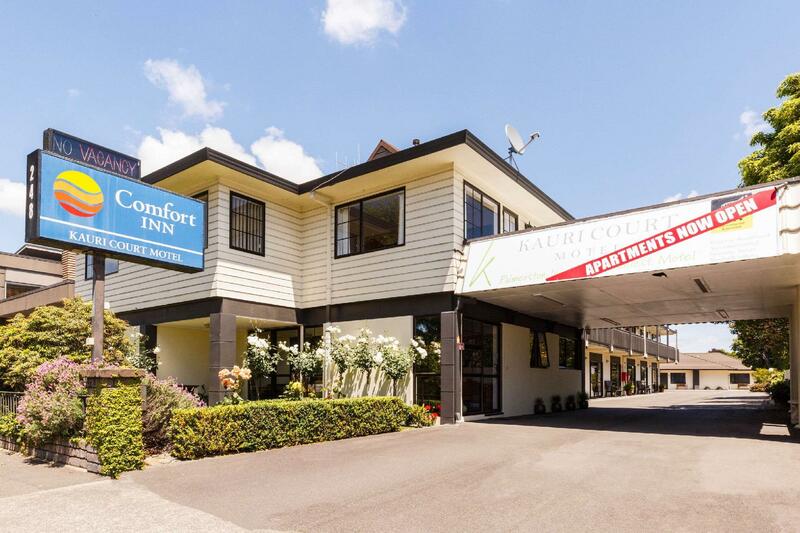 إن Comfort Inn Kauri Court هو مكان مثالي للمسافرين الذين يتطلعون إلى الراحة والاستجمام في المدينة. 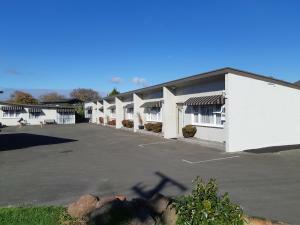 I would highly recommended this motel to anyone who is thinking of staying in Palmy. John and Margaret (our hosts) are outstanding host- nothing is too much trouble for them. They offered and provided us with a baby's cot and high chair when they knew we were bringing our 11 month old son with us- free of charge. They are very hospitable. Even the cleaning staff were nice and helpful. 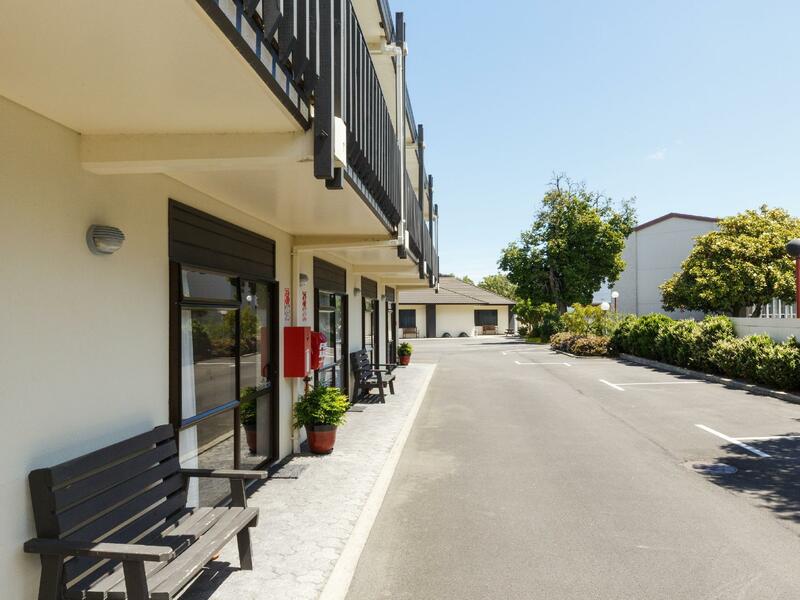 Motel is very clean with modern facilities- has aircon/heat-pump, comfortable beds, self-contained kitchenette, hot and powerful shower- what else do you need? Highly recommended accomodation and value for money. Thanks you- John and Margaret for making out trip to Palmy highly memorable. استديو رجال أعمال بسرير بالحجم الملكي. We were pleasantly surprised by the large room and modern bathroom. The kitchenette was handy - it had a two burner stove and microwave and was well-stocked with plates, cutlery, glasses and complimentary coffee and tea sachets. It was clean and house-keeping was done everyday. Would highly recommend this comfortable and whisper-quiet room #3. Lovely spacious studio room with a comfortable big bed. Plenty of space compared to other motels I’ve stayed at for a similar price. Loved it. Highly recommended. Stayed in the 2 bedroom apartments which were awesome. So much room and felt like a home away from home. Would stay there anytime I'm in Palmerston North. The staff were very helpful, particularly when we were trying to cook dinner and needed extra baking trays etc. This is my second time with Comfort inn. The owners of the inn are very friendly and the rooms are good. The only issue is with the Agoda booking details conveyed to the owners - the duration and number of pax details are de-sync. We parked outside our room. The hosts were superb in service and polite. The room was very clean and provided everything we needed for a price that wasn't too expensive. The room was quiet and away for traffic. The motel was easy to find driving down street. A very clean room. Ideally situated for the university. Friendly staff. The stay was a pleasant one. The room was very clean and well equipped. The staff were friendly and the check out was quick. Thankyou for a lovly stay.The staff were very friendly. we will be back. The beds were very very soft, not my preference. There was also nowhere to leave the key if checking out prior to the office opening. Little things really. The hotel is seemingly at the end of a long line of hotels branching out on that street from the centre of town. Another great stay at Kauri Court. 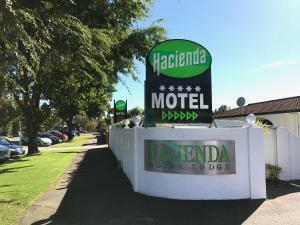 This is my only motel I stay at in Palmerston North. It's so good because it has brilliant service, comfortable massive rooms, very clean and so close to everything. I would recommend this to anybody!